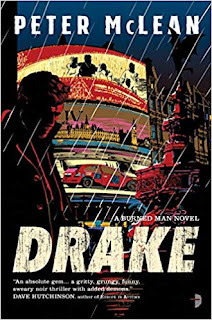 Killing for Wormwood causes Drake to damage his relationship with his on-again, mostly off-again girlfriend Deb, who supplies Drake with materials for his spells. Deb is moral and has about had it with Drake. Drake has lied to her about stopping his hitman activities. 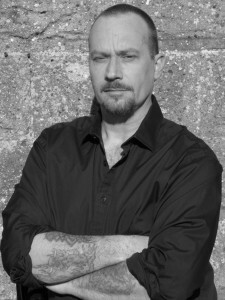 But things really go wrong when Drake, a lapsed Catholic, doesn't check the house before he sends some really nasty demons after two of Wormwood's targets. The demons are delighted to kill the marks. They are even happier to kill the target's innocent five-year-old grandson who happened to be visiting. Drake can't stop them. "It growled at me. It growled and the sound filled the room like there was a whole herd of rabid grizzly bears in there with me. It had never done that before. Now I'm sorry. I know it's only nine inches tall and chained up as well but that growl frightened the f****** life out of me. It was the fastest way to remind me that the Burned Man was only the fetish of the demon it represented. Right then I could feel the full malice of the real thing..."
This was a fast moving fun book at just over 300 pages. I thought the ending was a little too neat but I was interested enough to want to read more in this series. This was a comfort read. It's something you can finish in less than a week. I liked the London setting. 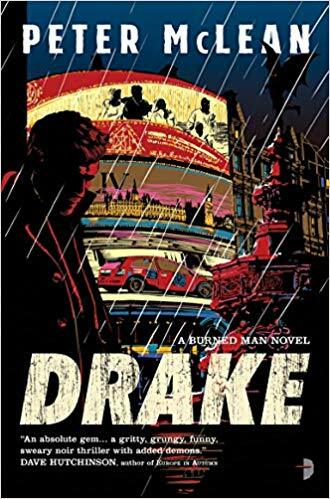 Drake is not a good man, but he's trying to become better. But you know what they say about hell and good intentions.